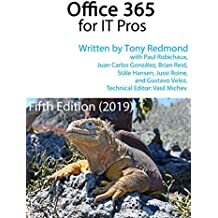 In my recent review of the free Microsoft Press ebook “Microsoft Office 365: Connect and collaborate virtually anywhere, anytime”, I concluded that the book was a curate’s egg for Exchange administrators. I’m not sure if the analogy worked for readers outside Ireland and the U.K., so in the spirit of clarity, I should specify that a curate’s egg is good in parts and that’s just what I thought about the ebook: it was good in parts. Some explanation is required. Before starting, let me be clear that I write from the perspective of an Exchange administrator who’s attempting to get to grips with Office 365. Those who simply want to understand Office 365 and gain a broad overview of what capabilities exist in Microsoft’s cloud service will be satisfied by the depth and breadth of the information presented in the ebook because it lays out the basic functionality of Exchange Online, SharePoint Online, and Lync Online and explains how to start off an Office 365 deployment. So good so far. The issue is that the book rapidly becomes unsatisfying for Exchange administrators. This is probably not a problem for the author or the majority of the book’s readers because I very much doubt that it was written to tell Exchange administrators the finder points of the deployment and management of Exchange Online. However, the book does excellent service by illustrating that there is much more work to be done in Exchange Online deployments than you might think – unless, like me, you only have to manage Office 365 for a couple of users and therefore spend no more than a couple of seconds daily thinking about the task. It’s true that a good portion of companies that will migrate to Office 365 will be small enough to be able to take the “big-bang” approach to move overnight. These companies probably won’t need to do a lot of administrative work once they are operational on Office 365. The companies that I think need to do more work are those who have more than a few hundred users to migrate or those that will run a hybrid environment with some mailboxes remaining on-premises. Administrators in these companies should not assume that they can approach Exchange Online in a state of blissful ignorance. They will need to upskill themselves to understand how Exchange 2010 works because they will use many of the Exchange 2010 administrative tools to get work done. And in a hybrid environment, we’re probably talking about Exchange 2010 SP2 as it contains some new features that enable better interoperability with the cloud. The knowledge gap will be highest for Exchange 2003 administrators as those who run Exchange 2007 or Exchange 2010 today will already have some awareness of PowerShell, and PowerShell is the key element in the equation because it allows Office 365 administrators to penetrate past the limitations presented in the GUI tools such as the Exchange Management Console (EMC) or Exchange Control Panel (ECP). The key fact to remember here is that all of the Exchange management tools are built on a common layer represented by PowerShell cmdlets. Anytime code is run by EMC or ECP it calls cmdlets, so if you understand the cmdlets and their parameters, it therefore follows that you’ll be able to use them to do useful work. By their very nature, all GUI tools are limited by the imagination of their developers and access to PowerShell allows administrators to bypass those limitations and build their own tools to meet specific requirements. So getting to know how to connect to Office 365 with Remote PowerShell is an important thing for an Exchange Online administrator to know (Brian Desmond has posted a good tip about adding the connection to your PowerShell profile). Becoming familiar with the environment that is accessed thereafter and knowing the cmdlets and their parameters is equally important. Finally, you need to understand the limitations of the environment presented to PowerShell when you connect to Office 365 because it is emphatically not the same as Exchange 2010. Many cmdlets available to an administrator in Exchange 2010 are not exposed by Office 365 because the functionality available through those cmdlets are reserved for the Microsoft administrators who take care of Office 365. Nevertheless, more than enough cmdlets are present to use useful work – or enough to be dangerous because the execution of any PowerShell cmdlet occurs without benefit of the protection afforded by the safeguards incorporated into GUI tools. I cheerfully accept the need to be careful when managing Exchange through PowerShell because of the flexibility and functionality that this method enables. Novice PowerShell administrators, especially those coming from Exchange 2003, need to get up to speed with PowerShell and understand the basics of how to manage mailboxes, servers, and the other Exchange objects before they plunge into Office 365 as I very much doubt that the Office 365 support line will be sympathetic if you report that you’ve just blown away something important because you made a mistake and ran a cmdlet that you shouldn’t have. Such is life. My recommendation to Exchange administrators who are considering Office 365 is two-fold. First. read the ebook to get a broad overview of what’s possible with Office 365. The best part of the book are the chapters that deal with SharePoint Online and Lync Online, so they will serve to increase knowledge and point to how Office 365 can deliver much more value apart from email. Second, get hold of some good Exchange 2010 books and read up on how components such as EMS, Role-Based Access Control (RBAC), and ECP work. You’ll definitely need to understand these components to work successfully with Remote PowerShell. And when you do, you’ll discover that Office 365 is more powerful and flexible than you imagined – that’s got to be a good thing! If you’re looking for an Exchange 2010 book that deals in depth with the components discussed in this post, please consider Microsoft Exchange Server 2010 Inside Out , also available at Amazon.co.uk . The book is also available in a Kindle edition . Other e-book formats for the book are available from the O’Reilly web site. Alternatively, you could come along to our Exchange 2010 Maestro training in Greenwich, CT next month and really get an insight into how these pieces work together to manage Exchange 2010. This entry was posted in Cloud, Email, Exchange 2010, Office 365, SharePoint 2010 and tagged Exchange 2003, Exchange 2010, Exchange Management Shell, Exchange Online, Office 365, PowerShell. Bookmark the permalink. Do you have any recommendations for PowerShell books specifically for Exchange Administrators? Excellent information Sir, as always.